Can Understanding How Skin Resists Tearing Improve Cosmetic Procedures? A recent discovery of how skin resists tearing has been recorded in the Berkeley National Laboratory. This new discovery in the mechanics of resistance to tearing can influence future cosmetic procedures used to reduce the look of aging and more. Scientists used X-ray beams to discover the action of collagen during stressed situations. Scientists from the U.S. Department of Energy and the University of California San Diego discovered the behavior of collagen in the dermis determines the tear resistance properties of skin. While skin has been studied since 1831, the resistance to tears was not well understood. Co-leaders of the study and authors of the corresponding paper are Robert Ritchie of Berkeley Lab's Material Science Division, Marc Myers of UC San Diego. Their co-authors are Wen Yang, Vincent Sherman, Bernd Gludovatz, Eric Schaible, and Polite Stewart. The scientists established that skin is not subject to the same fractures as bone or tooth dentin. These mineralized collagen fibers will collapse or fracture with enough stress after initial tearing. 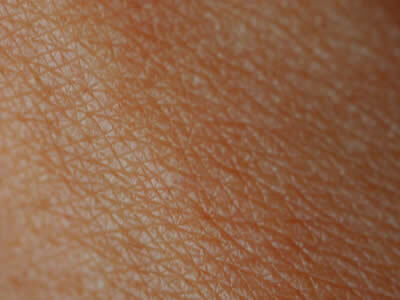 Collagen fibrils in the dermis lie in a haphazard manner which did not immediately point to the reason for resistance. Stress to an area triggers a response which rearranges the fibrils into highly structured arrangements. "The rotation mechanisms recruit collagen fibrils into alignment with the tension axis at which they are maximally strong or can accommodate shape change," says Meyers. "Straightening and stretching allow the uptake of strain without much stress increase, and sliding allows more energy dissipation during inelastic deformation. This reorganization of the fibrils is responsible for blunting the stress at the tips of tears and notches." Marc A. Myers, co-Author 'On the tear resistance of skin', Nature Communications 2015. Using this understanding of skin mechanics, new methods can be developed to improve current cosmetic applications and inventing new techniques. Anti-aging procedures could see the addition of new tools to improve the reaction of collagen fibrils to stress from gravity. Future methods of increasing viability of existing collagen can reduce the appearance of scars in older patients or those with compromised skin flexibility.